I need a way to let my gadget thoughts flow freely from my mind. When you see this picture, you'll know that there is a mindless short (or long) post coming from the top of my head. It's hard to write awesome well-thought-out blog posts. It can be mentally draining. Sometimes I will go a week or 2 without a blog post, because I don't have the creative mindset to sound all polished and professional. 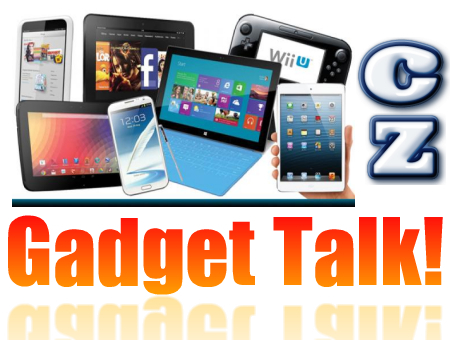 But I have got to ahve an outlet when I just feel like blurting out random thoughts about gadgets. Instead of bottling up my amazing thoughts and waiting for inspiration to hit me on organizing it into an award-winning piece that hits page one of Reddit and Digg, the "Gadget Talk" posts will uncork whatever is on my mind at the moment. Another great advantage? I don't have to whip up some fancy device picture with great graphics and artsy-looking texts. This will be an instant "mind-dump". You can expect a lot of opinion on these posts, and it will serve as a way that you folks can jump on and get a conversation going. Who knows... these short posts might even inspire one of the regular top notch articles that I am so famous for writing. Just a little heads up from the Gadget King so you know I haven't fallen off my pedestal of writing greatness.